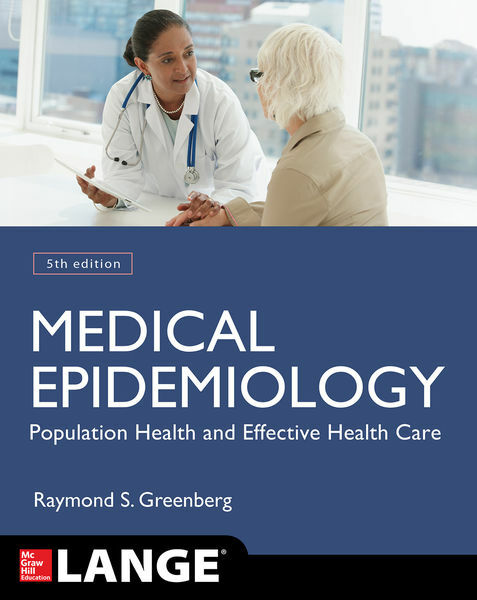 Medical Epidemiology provides a complete overview of the principles and concepts of epidemiology and illustrates the contemporary relationship between population-based science and the care of patients. Readers will find the most current information on patterns of disease occurrence and risk factors – all clearly linked to clinical practice through the use of Patient Profiles that appear in every chapter. It is the perfect primer for use in epidemiology courses for medical and allied health students as it utilizes a concise, straightforward, building-block approach to teaching. Epidemiologic concepts are illustrated through the full range of clinical areas and topics, including infectious diseases, cancer, Alzheimer’s disease, and perinatal disorders. Learning aids include Key Concepts that appear in every chapter; numerous tables, figures, and diagrams; statistical equations; chapter-ending Summaries; and USMLE-style study questions. The fifth edition has been completed revised with new editors and authors and substantial updates to every chapter that reflect the tremendous advances that have occurred since the last edition. Giving the book a stronger clinical focus by including more information about evaluating, summarizing, and using clinical evidence for improved patient care and outcomes. Care, Edition, Effective, Epidemiology, Health, Medical, Population permalink.